I just returned from another Disney World trip and did something I don't often do: venture off-site. My son and I took a day out of our trip to spend some time at Kennedy Space Center. Kennedy Space Center is located about an hour east of Disney World, near Cocoa Beach and Cape Canaveral. It takes about 6-8 hours to see the main attractions and with hours that are often 9 a.m. - 6 p.m., you'll want to get there when it opens to make sure you have enough time to see everything (especially if you only have 1 day to spend there). 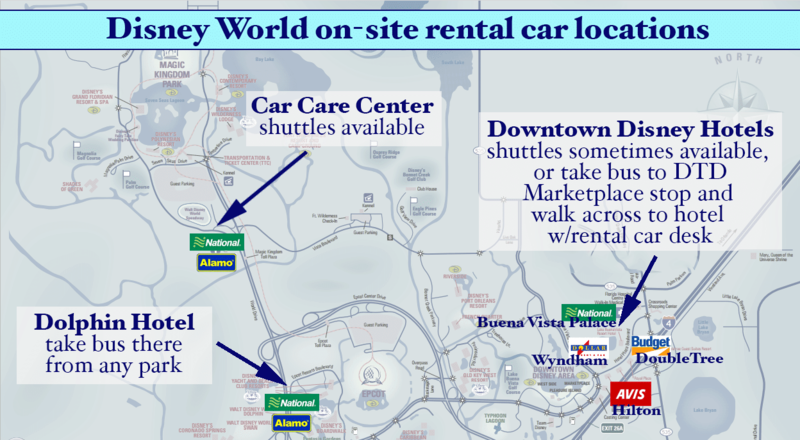 The easiest way to get to Kennedy Space Center (and probably the cheapest) is to rent a car. For our visit, we rented a car on site at the Avis desk located in the Downtown Disney Hilton (we took an Uber from our Disney World resort to get to the Avis desk). There are other locations on-site as well. Just be aware that some car rental desks will close early so you'll either need to return by that time or pay for more rental time so you can return your car the next day. Be sure to consider the $10/day parking fee and toll roads when computing which method is best for you. There are tours that include transport to Kennedy Space Center. Gray Line gets fantastic reviews and is reasonably priced. Roundtrip Mears shuttles to Kennedy Space Center can be booked on Monday, Wednesday, and Friday for $36/person. A standard ticket includes a bus tour, IMAX films, exhibits, shows, and the Astronaut Hall of Fame. Full-priced tickets are $53 for adults and $42.40 for kids age 3-11 (those prices include tax). Mousesavers.com has KSC ticket discount info which could save you some money on your visit. Disclosure: complimentary tickets were provided to me by Kennedy Space Center. Whenever I venture outside of Disney World, it always takes me awhile to figure things out and see how to fit the puzzle pieces of the day together. We did some things right on our visit and learned from some mistakes. IMAX 3D Space Film - I think this does a great job providing an overview of the space program and helps put everything else you see in perspective. You might assume that the theater will be large since it's an IMAX theater, but seating is limited so I'd arrive 15 minutes before show time. Check the show schedule you receive when you enter for times. General bus tour to Apollo/Saturn V - allow about 90 minutes or so. The bus ride is about 20 minutes each way. I'd suggest sitting on the right side of the bus as you face the front for views of things along the way, including alligators that the bus driver will point out if he/she spots one. Space Shuttle Atlantis with Shuttle Launch Experience - this building is located where you exit the buses from the bus tour. Allow 60-90 minutes. Since KSC hours are limited and arriving in the morning is suggested, you'll likely end up wanting to eat lunch while you're there. This indoor location is where we ate during our visit. All of the other areas appeared to only have outdoor seating and with temps in the upper 80s, we needed a break. The food was just OK but we managed to avoid the field trip groups by finding a quiet back room (a trick that often works at Disney World Quick Service restaurants as well). The map for this location says "dine amongst some of the very same Redstone, Atlas, and Titan rockets that first put NASA astronauts in space. Enjoy a wide variety of chef options for breakfast and lunch." This location is open seasonally and has a window where you order your food. They serve fast food style items here. Cool treats are available at this location (which was perfect for a mid-afternoon snack for us). You order your food here an outdoor window. This location is at the Apollo/Saturn V Center (where the bus tour takes you) so this would be a good spot to eat if you find yourself there during lunchtime. Seating is inside. Tickets for this are $29.99 for adults and $15.99 for children. I would purchase tickets online ahead of time if you'd like to attend. There are tours available for an additional cost that will allow you to see things up close. One of my regrets about our visit is that we didn't buy tickets for 1 of these ahead of time and by the time we arrived, they were all booked up. The tour that I think sounds the most interesting is the KSC Up-Close Tour which takes you to the launch pad. People taking the free bus tour will see this along the way, but people on this special tour will actually get to stop to see it up close. Tickets for this tour are $25 for adults and $19 for kids (in addition to the regular admission). I'd highly recommend purchasing tickets ahead of time. For families who are considering a visit, I would not suggest going with children under 5 because there are a lot of movies and exhibits to sit through and most of it will not be of interest to them. Even for kids age 5-7, I'd only go if I was sure my child had a good attention span, didn't mind standing to watch several films, and could handle the waits. Are you considering a KSC visit? Or is there another non-Disney World location you'd like me to visit? I'd love to hear your thoughts in the comments. This is just SUCH a fantastic review of the place,. I am traveling with kiddos with food allergies and being able to see the menus is a huge bonus! Not to mention that you have the whole thing planned out. Fantastic! Hello, this is very helpful, thank you Shannon! One question – reading elsewhere, it seems you can bring lunch into the KSC. Have the rules changed? I do note that you are not allowed to bring glass containers, knives and other security-sensitive items. Thank you for a good plan for the day at kennedy. Unfortunately, I wasn’t able to go on my recent trip down, Sept 17 – Sept 23 2016.
it appears that Mears no longer provides a shuttle service from the resorts to kennedy, and as this was what we were relying on, we had to cancel our plans. We were extremely disappointed with this information from Mears, especially since their cab service was going to be $160+ for one direction. Looks like the only ways to get there now are rental car, and your own car. Kennedy was good enough to recommend a few companies to plan next time. if you don’t know how you are getting there, you should call Kennedy and request this information. Hi Shannon! We are planning our 2nd trip to WDW and would like to plan a trip to KSC and the beach. We have not been on the east coast outside of “the World,” …do you suggest anywhere near the KSC or venturing off to St. Petersburg on the Gulf?? What are your thoughts?? If you go out to KSC again, you’ve gotta do the shuttle simulator. I think I could have gone on that over and over and over again. But I’m a NASA geek. We actually did this during our 2 week Disney trip last summer and it was fantabulous! Our favorite part was meet the astronaut. My 9 year old was in his glory and even my 4 year old daughter enjoyed this part of the day! we played at the play area 3 separate times and I found it very helpful in keeping the kids engaged for the more important parts of the day. When we go back to Disney we will definitely go back to the KSC! It was fun and educational at the same time. In the general admission price, 53 dollars is the Space Shuttle Experience included? Shannon, thanks for sharing your experiences at KSC! I don’t think that we will ever make it there, so it’s nice to hear from someone who has been there! Keep up the great work! We are planning a trip to WDW and plan to visit Universal studios for two days or so. I’m struggling with how to do this. Would you recommend staying at the Disney hotel the whole time or moving hotels to the universal studios ones? Then I wonder if we should stay off site but then we miss out on the perks. Any suggestions would be helpful. 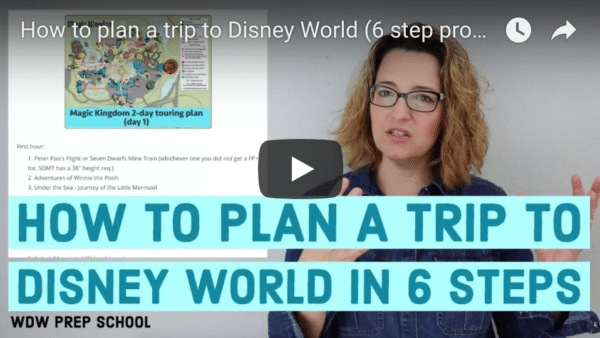 A universal/WDW trip topic would really be helpful. Super! You are so prepared!! Thank you. Thanks for the great tip! We normally don’t venture outside of “the World” for our trips, but this gives us some good ideas! I highly recommend the Lunch w/ an Astronaut- we did this in January, and it was worth every penny to hear his stories. You also get to ask him questions and get a picture taken; and during our visit our astronaut did a book signing where we got to meet him again and talk w/ him for a bit. My favorite part was seeing the museum section where the lunch was held- lots of neat stuff in that area, wish you would’ve posted pics of that stuff! & You didn’t mention the ride (I didn’t go on it- kids & hubby did) or the AMAZING display of the Challenger!!! Did you do this? It was an amazing entrance to see it! Thanks for this! I was planning on doing this the day before our cruise in August. However, we may not be landing until 11 in Orlando. Is that not enough time to do KSC? I don’t need to see everything, but the highlights. Just wondering if we should do it or not. Thanks so much! Kind of depends what time they’ll be closing, I think. Sometimes they close as early as 5 and sometimes they’re open until 7. If they’re open until 7, I think you’d be OK to visit because that would give you a good 6 hours or so. Thanks for the write-up! 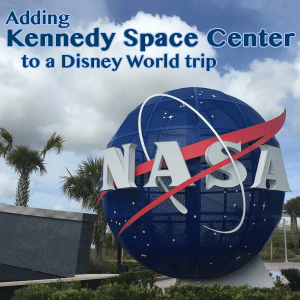 We have KSC on our agenda for November when we take a Disney Cruise out of Port Canaveral. Kids are 10 and 12 and this will be a surprise for them. Great tips! We plan to stay in Cocoa Beach the weekend before our Monday Dream sailing, and your write-up made us very excited to venture off the Disney path for the day!